Direct Oceanfront Beauty!!! 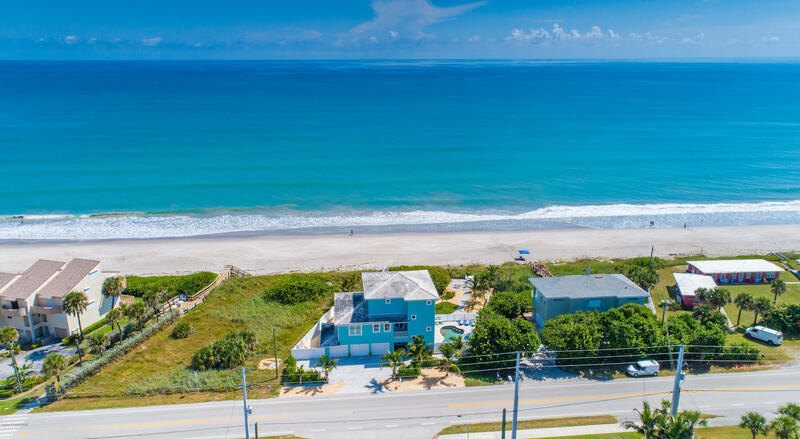 Must see this spacious oceanfront home located 1/2 mile south of Spessard Holland Golf Course in Melbourne Beach. All bedrooms are oversized en suites with walk in closets and custom made hanging cabinetry. Hurricane impact windows, doors, and sliders throughout. Elevator shaft is built out but is currently storage closets on each floor with laundry shoot. Huge gourmet kitchen with 5 burner gas range, pot filler, double oven, wine fridge, industrial size fridge and freezer, ample granite countertops and cabinets, walk in pantry. Solid strand woven bamboo floors on 2nd and 3rd level. Master Suite is entire 3rd floor with a massive circular shower, jetted tub w/14 jets, lights and stereo. Glorious Walk in closet with custom cabinetry and hanging chandelier.